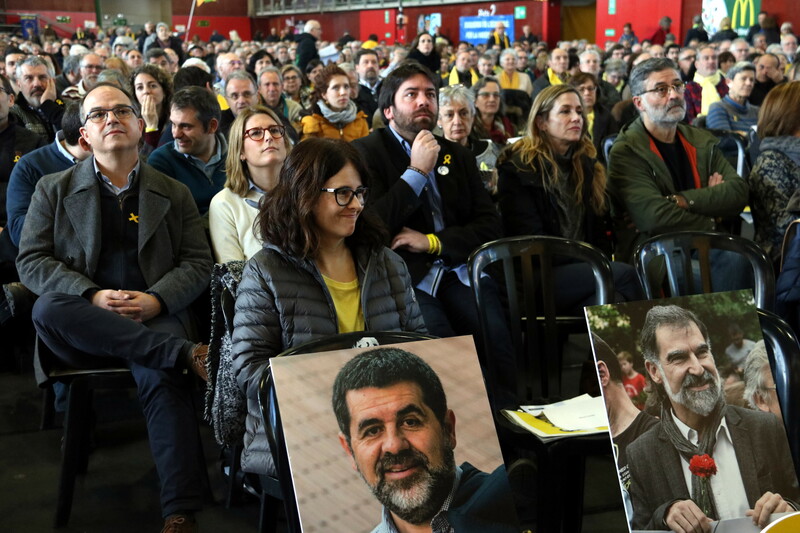 The Spanish Supreme Court has rejected a request by Jordi Sànchez, a jailed pro-independence activist and MP for the Junts per Catalunya candidacy (JxCat), for temporary permission to leave prison so that he can be sworn in as Catalan president. In a 26-page report, the judge outlines his reasons for denying Sànchez permission to attend parliament, among which is the argument that the agreement between the JxCat and ERC pro-independence parties that confirm Sànchez as the presidential candidate looks to make a Catalan republic effective. The "risk of repeated offence" is also among the arguments given by the judge. The Supreme Court also argues that Sànchez does not recognize the legal authority of Spain, and that he was not the candidate for Catalan president when he stood in the December 21 election on the JxCat ticket, which also includes MPs who have received “the same support” as he has, but who are not under investigation. The parliament was expected to meet on Monday next week for Sànchez’s investiture debate. After the court decision put the appointment on hold on Friday, all eyes are now on pro-independence parties, which have to decide their next move. Sànchez got the support of the two main pro-independence parties in Catalonia after Carles Puigdemont abandoned his bid to reclaim the presidency from Brussels following Spain's opposition and proposed the jailed leader as his successor. Yet, from the very beginning, the success of Sànchez’s candidacy was less than assured. His defense team filed a request asking for his release, as well as for permission to attend parliament and take office. Earlier on Friday, the attorney overseeing the case sent a letter to the Supreme Court judge Pablo Llarena to accept neither the jailed leader’s request for freedom, nor temporary permission to be elected as president in parliament. Llarena’s final decision goes in line with the prosecutor’s criteria. Yet, Sànchez’s appointment as the new Catalan leader was not only dependent on permission fromthe Supreme Court. Whether his appointment would have got a majority of votes in favor was not clear either. While the main pro-independence parties, JxCat and ERC, agreed on his candidacy, the far-left CUP party rejected his bid last weekend, on the grounds that the other two parties aren’t planning to implement an independent Catalonia this term, but remain a Spanish region. Now a new scenario opens in the country. The plenary session to swear in Sànchez stands for the time being, but the chamber speaker, Roger Torrent, is in a quandary now. Will he go ahead with the parliamentary debate allowing an investiture at a distance despite Madrid’s opposition, or will he postpone the session like he did on January 30? There might be a third option, which would include keeping the session called but changing the candidate. The answer to these questions is set to be answered shortly.